The topic of #Blogchat last Sunday was “If You Could Spend $500 on Making Your Blog Better, What Would You Buy?” It brought about an interesting discussion and here’s the transcript. I wanted to add my thoughts because anything related to money and social media is a topic that a lot of companies have questions about. The Essentials These are the items you should invest in from launch. 1 – Dedicated/Upgraded hosting. If you are running on WordPress, go with the self-hosted version and pick dedicated hosting. Your experience will be more seamless, your site should run faster, and updates will be done automagically. Many companies are now offering dedicated WordPress hosting, and you can typically get it for anywhere from $15-$100 a month, with price being mostly a function of number of monthly visitors you will have. For many blogs, $15-25 a month will get it done. I use GoDaddy’s dedicated WordPress hosting and its $20 a month and this site gets around 40,000 visitors a month. 2 – Sucuri Security. They are currently offering complete malware protection and removal, plus firewall for $199 a year. I went with them in March of 2013 to deal with a malware issue that had all but crippled this blog. It took a while to get cleaned out but once they did I haven’t had a single problem with security on the blog. Trust me, the money is worth it just for the piece of mind. 3 – A Premium Blog Theme. Premium themes give you more flexibility in the design and functionality of your blog. A custom-built blog can easily cost $5,000-$10,000, so this can be a nice compromise. This site runs on Thesis, which is great if you are comfortable with coding, CSS and love tinkering with code. It can be a bear for the novice, though. There are dozens of premium themes to consider, here’s a nice list. Most range in price from $50-75 for a one time fee. So the total price for the Essentials is going to be around $50-75 for the theme, and a monthly fee of $35 or so for the dedicated hosting and Sucuri. That will give you a nice foundation for your blog and for most businesses, that will be all you’ll ever need on the design/backend. 1 – Audio/Video equipment. As more businesses are moving blog management in-house, it pays to start investing in the equipment that will help you more easily create content. Specifically, you’re talking a camera for shooting pictures and video, and a microphone for recording audio such as interviews and podcasts. Now if you aren’t interested in recording video, and just want to shoot pictures, if your bloggers have newer smartphones, the cameras on those will probably be fine for snapping shots as they are out and about that can later be used with posts. But if you’re wanting to shoot video, it makes sense to invest in a decent camera and then you can not only shoot video, but take better pictures as well. Next, if you want to do a podcast or create audio (without video), then you need a decent microphone. The microphone I use for The Fan-Damn-Tastic Marketing Show is the Rode Podcaster USB mic. It’s an excellent mic and many of the top podcasters use it, such as Kerry O’Shea Gorgone on the Marketing Smarts Podcast. Its a dynamic mic, which means it picks up the person talking directly into the mic and tends to not pick up as much background noise as a condenser mic. A lot of the less expensive mics you’ll find are condenser mics, and these can work fine, if you are recording in a very controlled environment with little background noise. But if you are going to be recording in an environment where other people will be, go with the dynamic. Plus, I believe the sound quality is better. The Rode I purchased came from Amazon as part of a podcasting kit for $350. If you want to just get the mic, it is usually around $200, plus you’ll need at least a desk stand for it, which you can get for under $20. Plus it has a 10-year warranty! 2 – Attending Conferences/Webinars. These are a great way to get tips and ideas for content creation and strategy. 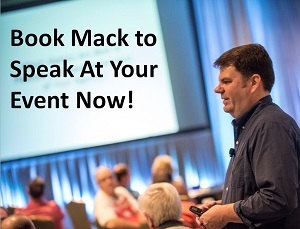 Of course, prices vary widely, quality webinars you can view over the internet are typically anywhere from $50-$150, whereas total expenses for a conference trip could top $2,000.00. The big advantage to attending a conference is that you get to talk to other attendees that are having the same issues you are, so it can really help you improve your own efforts by comparing notes with others. 3 – Blog/Content Marketing Strategy Audit. A professional Blog/Content Marketing Strategy Audit is a great way to take your blogging and content marketing efforts to the next level. It gives your blogging efforts clarity and it always helps to bring in an outside source to give a second opinion and to potentially catch opportunities that you may be missing. It’s definitely an investment but the investment should also help you bring clarity to the effectiveness of your blog and how it benefits your business. All of these options should be viewed as investments in your business blog. As such, you should consider the expense, and then consider what benefits your business will gain from that expense to decide if the investment is worth the money. Nice one Mack. Thanks for sharing such a great blog. Keep blogging. All above things must be considered when trying to improve the blog. Also, I will like to inclusive quality contents onto the blog. less than profit. 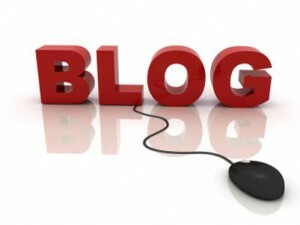 i no money need for blog promotion seo is free than why we spent money on business blog or simple blog. do self seo and only one employee you need for blog promotion.